The shoulder joint is the most mobile in the human body, making it prone to disease and serious injury. 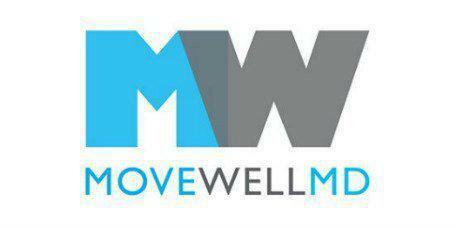 The professional healthcare staff at Move Well MD in lower Manhattan, New York and New York's financial district help pinpoint the cause of shoulder pain to create a comprehensive and coordinated plan to relieve it. This tailored approach means better patient outcomes and improved movement in that all too important shoulder joint. Medical science calls the shoulder joint a synovial ball and socket mechanism. Simply put, a ball on the end of the arm bone, called the humerus, rests inside a cavity on the shoulder blade. The loose connection allows for fluid arm movement – that's what's behind that perfect tennis serve, for example. Around the ball is a capsule of tissue made of tendon that improves movement by reducing the friction between the two bony components of the joint. Combined with the connective tissue and bursa, the capsule gives the arm a 360-degree range of motion. Pain is the body's warning system that something isn't working right. The infrastructure of the shoulder joint is somewhat complex and anything that breaks down within it can cause pain. Dr. Gruen and the movement specialists at Move Well MD work together to translate that warning sign and figure out what it means based on the type pain and location of it. Sometimes, it's not the actual joint causing the pain, either. Referred pain in the shoulder comes from another structure in the chest such as the heart or gallbladder. Generally speaking, pain coming directly from injury to the joint tends to get worse with movement while referred pain persists whether you are moving or not. Any of these problems can cause inflammation and pain. Frozen shoulder is a consequence of not moving the joint for a long period of time, for example, due to a stroke. This is why many stroke patients undergo rehab to treat or prevent frozen shoulder. The freezing stage is the onset, so there is the pain in the joint and limited range of motion. During the frozen stage, the pain decreases but the shoulder is still and the arm barely moves. Thawing starts during rehab as the range of motion increases. Frozen shoulder is just one of a number of problems that respond well to physical therapy, stem cell therapy and other treatment options available at Move Well MD.